Mothers Day Australia - How Mothers Day gift giving started in Australia. Whilst the tradition for giving gifts on Mothers Day was well established in the United States (1908) it didn't begin in Australia until 1924. A little old lady living in Petersham looks on Mothers Day with something approaching possessiveness. She visited the "Sun Herald" to ask, "Do you know who started the idea of gifts for mothers day?" She answered her own question : "Little me." she said stabbing her chest with a forefinger. "Little Me" is Mrs. J. Heyden. She could be any thing from 70 to 75. In fact she is 86 and very proud that few people realise it. Mrs. Heyden thinks the stores that sell Mothers Day gifts are not being fair to her about Mothers Day. Not that she minds the "way it has become commercialised like a second Christmas." "But they say the gift-for-mother idea was their own." she said. the wearing of a white flower - a tribute thought up by a schoolteacher in Canada. O.C. household can put her feet up and lap up family worship for one day of the year. Who fixed it that way? why, Mrs. Heyden, she says. It all started 30 years ago. "I was on the committee of the Home for Destitute Women and Children in Strathfield," Mrs. Heyden recalls. "One of the patients was transferred to the Newington State Home, and I used to visit her. "That was when I decided something should be done to brighten the lonely lives of the mothers there. I organised gifts for them on Mother's Day. "Even a little remem brance like hairpins (they wouldn't be much good these days, would they? 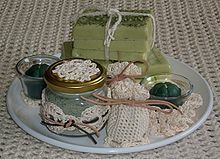 ), a hankie or a cake of soap meant a lot to people like that. 'Then I thought, why stop at them? "So I appealed to the public through the newspapers to remember the mothers of Sydney. "The gifts started to pour in. "The late Alderman Dyer, who was Mayor of Leichhardt, used to drive me around to the old mothers of the district with my gift parcels. "For seven years in succession the appeal through the newspapers made sure that hundreds of mothers who would otherwise have been forgotten received a Mothers Day gift. It was wonderful. Today, of course, a gift for mother is just the natural thing." Mrs. Heyden has three children of her own-a son and two daughters, all married. And, of course, with a mother like Mrs. Heyden they set an example on the second Sunday in each May. The following is an excerpt from Wikipedia which gives an overview of Mothers Day, how it began and how it has developed over more than a Century now - it references the celebration of Mothers Day in Australia in addition to many other countries. This article is about a holiday celebrating mothers and motherhood. For other uses, see Mother's Day (disambiguation). Mother's Day is a celebration honoring one's own mother, as well as motherhood, maternal bonds, and the influence of mothers in society. It is celebrated on various days in many parts of the world, most commonly in the months of March or May. It complements similar celebrations honoring family members, such as Father's Day and Siblings Day. The celebration of Mother's Day began in the United States in the early 20th century; it is not related to the many celebrations of mothers and motherhood that have occurred throughout the world over thousands of years, such as the Greek cult to Cybele, the Roman festival of Hilaria, or the Christian Mothering Sunday celebration (originally a celebration of the mother church, not motherhood). Despite this, in some countries Mother's Day has become synonymous with these older traditions. The modern American holiday of Mother's Day was first celebrated in 1908, when Anna Jarvis held a memorial for her mother in Grafton, West Virginia. Her campaign to make "Mother's Day" a recognized holiday in the United States began in 1905, the year her beloved mother, Ann Reeves Jarvis, died. Anna’s mission was to honor her own mother by continuing work she had started and to set aside a day to honor mothers, "the person who has done more for you than anyone in the world." Anna's mother, Ann Jarvis, was a peace activist who had cared for wounded soldiers on both sides of the Civil War and created Mother’s Day Work Clubs to address public health issues. Due to the campaign efforts of Anna Jarvis, several states officially recognized Mother's Day, the first in 1910 being West Virginia, Jarvis’ home state. In 1914 Woodrow Wilson signed the proclamation creating Mother’s Day, the second Sunday in May, as a national holiday to honor mothers. In a thank-you note to Wilson, Jarvis wrote of a “great Home Day of our country for sons and daughters to honor their mothers and fathers and homes in a way that will perpetuate family ties and give emphasis to true home life.”  Jarvis became critical, however, of the commercialization of the day. In 1912, Anna Jarvis trademarked the phrases "second Sunday in May" and "Mother's Day", and created the Mother's Day International Association. She specifically noted that "Mother's" should "be a singular possessive, for each family to honor its mother, not a plural possessive commemorating all mothers of the world." This is also the spelling used by U.S. President Woodrow Wilson in his 1914 presidential proclamation, by the U.S. Congress in relevant bills, and by various U.S. presidents in their proclamations concerning Mother's Day. 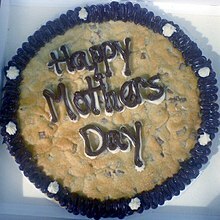 However, "Mothers' Day" (plural possessive) or "Mothers Day" (plural non-possessive) are also sometimes seen. As the United States holiday was adopted by other countries and cultures, the date was changed to fit already existing celebrations honoring motherhood, such as Mothering Sunday in the United Kingdom or, in Greece, the Orthodox celebration of the presentation of Jesus Christ to the temple (2 February of Julian Calendar). Both the secular and religious Mother Day are present in Greece. Mothering Sunday is often referred to as "Mother's Day" even though it is an unrelated celebration. In some countries the date was changed to a date that was significant to the majority religion, such as Virgin Mary Day in Catholic countries. Other countries selected a date with historical significance. For example, Bolivia's Mother's Day is the date of a battle in which women participated. See the "International history and tradition" section for the complete list. Ex-communist countries usually celebrated the socialist International Women's Day instead of the more capitalist Mother's Day. Some ex-communist countries, such as Russia, still follow this custom or simply celebrate both holidays, which is the custom in Ukraine. Kyrgyzstan has recently introduced Mother's Day, but International Women's Day remains a more widely popular holiday. Note: Countries that celebrate International Women's Day instead of Mother's Day are marked with a dagger (†). Northern Pacific Railway postcard for Mother's Day 1916. 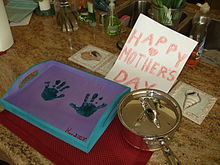 In most countries, Mother's Day is a recent observance derived from the holiday as it has evolved in the United States. As adopted by other countries and cultures, the holiday has different meanings, is associated with different events (religious, historical or legendary), and is celebrated on different dates. In some cases, countries already had existing celebrations honoring motherhood, and their celebrations then adopted several external characteristics from the US holiday, such as giving carnations and other presents to one's mother. The extent of the celebrations varies greatly. In some countries, it is potentially offensive to one's mother not to mark Mother's Day. In others, it is a little-known festival celebrated mainly by immigrants, or covered by the media as a taste of foreign culture. In the Roman Catholic Church, the holiday is strongly associated with revering the Virgin Mary. In some Catholic homes, families have a special shrine devoted to the Blessed Virgin Mary. In many Eastern Catholic and Eastern Orthodox Churches, a special prayer service is held in honor of the Theotokos Virgin Mary. In Hindu tradition Mother's Day is called "Mata Tirtha Aunshi" or "Mother Pilgrimage fortnight", and is celebrated in countries with a Hindu population, especially in Nepal. The holiday is observed on the new moon day in the month of Baisakh, i.e., April/May. This celebration is based on Hindu religion and it pre-dates the creation of the US-inspired celebration by at least a few centuries. Mother's Day in most Arab countries is celebrated on 21 March, the first day of spring in the northern hemisphere. It was introduced in Egypt by journalist Mustafa Amin in his book Smiling America (1943). The idea was overlooked at the time. Later Amin heard the story of a widowed mother who devoted her whole life to raising her son until he became a doctor. The son then married and left without showing any gratitude to his mother. Hearing this, Amin became motivated to promote "Mother's Day". The idea was first ridiculed by president Gamal Abdel Nasser but he eventually accepted it and Mother's Day was first celebrated on 21 March 1956. The practice has since been copied by other Arab countries. When Mustafa Amin was arrested and imprisoned, there were attempts to change the name of the holiday from "Mother's Day" to "Family Day" as the government wished to prevent the occasion from reminding people of its founder. These attempts were unsuccessful and celebrations continued to be held on that day; classic songs celebrating mothers remain famous to this day. In Afghanistan, Mother's Day was celebrated on 12 June 2010, on the second Saturday in June. In Argentina, Mother's Day is celebrated on the third Sunday of October. The holiday was originally celebrated on 11 October, the old liturgical date for the celebration of the Maternity of the Blessed Virgin Mary but after the Second Vatican Council, which moved the Virgin Mary festivity to 1 January, the Mother's Day started to be celebrated the third Sunday of October because of popular tradition. Argentina is the only country in the world that celebrates Mother's Day in this date. In 17 October 2010 Google made a Google doodle exclusively to celebrate the Argentinian Mother's Day, and published it only in google.com.ar (Google's website for Argentina). In Armenia, Mother's Day is celebrated on 7 April (Maternity and Beauty Day). In Bangladesh, Mother's Day is celebrated on the second Sunday of the month of May. In observance of the day discussion programs are organized by government and non-governmental organizations. Reception programs and cultural programs are organized to mark the day in the capital city. Television channels air special programs, and newspapers publish special features and columns to mark the day. Greeting cards, flowers and gifts featuring mothers are in high demand at the shops and markets. Belarus celebrates Mother's Day in 14 October. Like other ex-Communist republics, Belarus used to celebrate only the International Women Day in 8 March. Mother's Day in Belarus was officially established by the Belarus government, and it was celebrated for the first time in 1996. The celebration of the Virgin Mary (the holiday of Protection of the Holy Mother of God) is celebrated in the same day. In Belgium, Mother's Day (Moederdag or Moederkesdag in Dutch and Fête des Mères in French) is celebrated on the second Sunday of May. In the week before this holiday children make little presents at primary school, which they give to their mothers in the early morning of Mother's Day. Typically, the father will buy croissants and other sweet breads and pastries and bring these to the mother while she is still in bed – the beginning of a day of pampering for the mother. There are also many people who celebrate Mother's Day on 15 August instead; these are mostly people around Antwerp, who consider that day (Assumption) the classical Mother's Day and the observance in May an invention for commercial reasons. In Brazil, Mother's Day is celebrated on the second Sunday of May. The first Mother's Day in Brazil was promoted by Associação Cristã de Moços de Porto Alegre (Young Men's Christian Association of Porto Alegre) on 12 May 1918. In 1932, then President Getúlio Vargas made the second Sunday of May the official date for Mother's Day. In 1947, Archbishop Jaime de Barros Câmara, Cardinal-Archbishop of Rio de Janeiro, decided that this holiday would also be included in the official calendar of the Catholic Church. Mother's Day is not an official holiday (see Public holidays in Brazil), but it is widely observed and typically involves spending time with and giving gifts to one's mother. Because of this, it is considered one of the celebrations most related to consumerism in the country, second only to Christmas Day as the most commercially lucrative holiday. In Bulgaria, 8 March is associated with International Women's Day. The holiday honors women as human beings and equal partners. Another Bulgarian holiday related to maternity and the family is Babinden (Bulgarian Бабинден), celebrated on 8 January. Mother's Day in Canada is celebrated on the second Sunday in May (it is not, however, a public holiday or bank holiday), and typically involves small celebrations and gift-giving to one's mother, grandmother, or other important female figures in one's family. Celebratory practices are very similar to those of other western nations, such as Australia, the United Kingdom the United States of America and Ireland. Many people in Canada express their gratitude towards mothers and mother figures on Mother's Day. A Québécois tradition is for Québécois men to offer roses or other flowers to the women. Mother's Day is becoming more popular in China. Carnations are a very popular Mother's Day gift and the most sold flowers in relation to the day. In 1997 Mother's Day was set as the day to help poor mothers and to remind people of the poor mothers in rural areas such as China's western region. In the People's Daily, the Chinese government's official newspaper, an article explained that "despite originating in the United States, people in China accept the holiday without hesitation because it is in line with the country's traditional ethics – respect for the elderly and filial piety towards parents." In recent years, the Communist Party member Li Hanqiu began to advocate for the official adoption of Mother's Day in memory of Meng Mu, the mother of Mèng Zǐ. He formed a non-governmental organization called Chinese Mothers' Festival Promotion Society, with the support of 100 Confucian scholars and lecturers of ethics. Li and the Society want to replace the Western-style gift of carnations with lilies, which, in ancient times, were planted by Chinese mothers when children left home. Mother's Day remains an unofficial festival, except in a small number of cities. Mother's Day in Cyprus is celebrated on the second Sunday of May. In the Czech Republic, Mother's Day is celebrated every second Sunday in May. It started in former Czechoslovakia in 1923. The promoter of this celebration was Alice Masaryková. After World War II communists replaced Mother's Day with International Woman's Day, celebrated on 8 March. The former Czechoslovakia celebrated Women's Day until the Velvet Revolution in 1989. After the split of the country in 1993, the Czech Republic started celebrating Mother's Day again. In Estonia, Mother's Day (emadepäev in Estonian) is celebrated on the second Sunday of May. It is recognized nationally, but is not a public holiday. In France, amidst alarm at the low birth rate, there were attempts in 1896 and 1904 to create a national celebration honoring the mothers of large families. In 1906 ten mothers who had nine children each were given an award recognising "High Maternal Merit" ("Haut mérite maternel"). American World War I soldiers fighting in France popularized the US Mother's Day holiday created by Anna Jarvis. They sent so much mail back to their country for Mother's Day that the Union Franco-Américaine created a postal card for that purpose. In 1918, also inspired by Jarvis, the town of Lyon wanted to celebrate a "journée des Mères", but instead decided to celebrate a "Journée Nationale des Mères de familles nombreuses." The holiday was more inspired by anti-depopulation efforts than by the US holiday, with medals awarded to the mothers of large families. The French government made the day official in 1920 as a day for mothers of large families. Since then the French government awards the Médaille de la Famille française to mothers of large families. In 1941, by initiative of Philippe Pétain, the wartime Vichy government used the celebration in support of their policy to encourage larger families, but all mothers were now honored, even mothers with smaller families. In 1950, after the war, the celebration was reinstated. The law of 24 May 1950 required that the Republic pay official homage to French Mothers on the last Sunday in May as the "Fête des Mères" (except when Pentecost fell on that day, in which case it was moved to the first Sunday in June). During the 1950s, the celebration lost all its patriotic and natalist ideologies, and became heavily commercialized. In 1956, the celebration was given a budget and integrated into the new Code de l'action sociale et des familles. In 2004 responsibility for the holiday was transferred to the Minister responsible for families. In the 1920s, Germany had the lowest birthrate in Europe, and the declining trend was continuing. This was attributed to women's participation in the labor market. At the same time, influential groups in society (politicians of left and right, churchwomen, and feminists) believed that mothers should be honored but could not agree on how to do so. However, all groups strongly agreed on the promotion of the values of motherhood. In 1923, this resulted in the unanimous adoption of Muttertag, the Mother's Day holiday as imported from America and Norway. The head of the Association of German Florists cited "the inner conflict of our Volk and the loosening of the family" as his reason for introducing the holiday. He expected that the holiday would unite the divided country. In 1925, the Mother's Day Committee joined the task force for the recovery of the volk, and the holiday stopped depending on commercial interests and began emphasizing the need to increase the population in Germany by promoting motherhood. The holiday was then seen as a means to encourage women to bear more children, which nationalists saw as a way to rejuvenate the nation. The holiday did not celebrate individual women, but an idealized standard of motherhood. The progressive forces resisted the implementation of the holiday because it was backed by so many conservatives, and because they saw it as a way to eliminate the rights of working women. Die Frau, the newspaper of the Federation of German Women's Associations, refused to recognize the holiday. Many local authorities adopted their own interpretation of the holiday: it would be a day to support economically larger families or single-mother families. The guidelines for the subsidies had eugenics criteria, but there is no indication that social workers ever implemented them in practice, and subsidies were given preferentially to families in economic need rather than to families with more children or "healthier" children. With the Nazi party in power during 1933–1945, the situation changed radically. The promotion of Mother's Day increased in many European countries, including the UK and France. 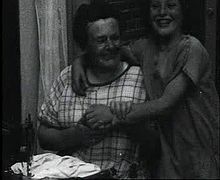 From the position of the German Nazi government, the role of mothers was to give healthy children to the German nation. The Nazi party's intention was to create a pure "Aryan race" according to nazi eugenics. Among other Mother's Day ideas, the government promoted the death of a mother's sons in battle as the highest embodiment of patriotic motherhood. The Nazis quickly declared Mother's Day an official holiday and put it under the control of the NSV ( National Socialist People's Welfare Association) and the NSF ( National Socialist Women Organization). This created conflicts with other organizations that resented Nazi control of the holiday, including Catholic and Protestant churches and local women's organizations. Local authorities resisted the guidelines from the Nazi government and continued assigning resources to families who were in economic need, much to the dismay of the Nazi officials. In 1938 the government began issuing an award called Mother's Cross (Mutterkreuz), according to categories that depended on the number of children a mother had. The medal was awarded on Mother's Day and also on other holidays due to the large number of recipients. The Cross was an effort to encourage women to have more children, and recipients were required to have at least four. For example, a gold cross recipient (level one) was obliged to have eight children or more. Because having fewer children was a recent development, the gold cross was awarded mainly to elderly mothers with adult children. The Cross promoted loyalty among German women and was a popular award even though it had little material reward and was mostly empty praise. The recipients of honors were compelled to be examined by doctors and social workers according to genetic and racial values that were considered beneficial. The mother's friends and family were also examined for possible flaws that could disqualify the mother, and they also had to be "racially and morally fit." They had to be "German-blooded," "genetically healthy," "worthy," "politically reliable," and could not have vices like drinking. Criteria that weighed against honors were, for example, "family history contains inferior blood", "unfeminine" behavior including smoking or doing poor housekeeping, not being "politically reliable", or having family members who had been "indicted and imprisoned". There were instances where a family was disqualified because a doctor saw signs of "feeblemindedness". Even contact with a Jew could disqualify a potential recipient. Some social workers had become disillusioned from the Weimar Republic and supported Nazi ideas personally as a means to "cure" the problems of the country. The application of policies was uneven, as doctors promoted medical criteria over racial criteria, and local authorities promoted economic need over any other criteria. The holiday is now celebrated on the second Sunday of May, in a manner similar to other nearby European countries. Mother's Day in Greece is celebrated on the second Sunday of May. In Hungary, Mother's Day is celebrated on the first Sunday of May. It was first celebrated in 1925 by the Hungarian Red Cross Youth. The modern Mother's Day has been assimilated into Indian culture, and it is celebrated every year on the second Sunday of May. Indians do not celebrate the occasion as a religious one, but do their best to thank their mothers for care and love. The day is, however, celebrated mostly in urban centers. A majority of the population still remains unaware of the significance of Mother's Day here. Indonesian Mother's Day (Indonesian: Hari Ibu) is celebrated nationally on 22 December. The date was made an official holiday by President Soekarno under Presidential Decree (Indonesian: Dekrit Presiden) no. 316 in 1953, on the 25th anniversary of the 1928 Indonesian Women Congress. The day originally sought to celebrate the spirit of Indonesian women and to improve the condition of the nation. Today, the meaning of Mother's Day has changed, and it is celebrated by expressing love and gratitude to mothers. People present gifts to mothers (such as flowers) and hold surprise parties and competitions, which include cooking and kebaya wearing. People also allow mothers a day off from domestic chores. The holiday is celebrated on the anniversary of the opening day of the first Indonesian Women Congress (Indonesian: Kongres Perempuan Indonesia), which was held from 22 to 25 December 1928. The Congress took place in a building called Dalem Jayadipuran, which now serves as the office of the Center of History and Traditional Values Preservation (Indonesian: Balai Pelestarian Sejarah dan Nilai Tradisional) in Brigjen Katamso Street, Yogyakarta. The Congress was attended by 30 feminist organizations from 12 cities in Java and Sumatra. In Indonesia, feminist organizations have existed since 1912, inspired by Indonesian heroines of the 19th century, e.g., Kartini, Martha Christina Tiahahu, Cut Nyak Meutia, Maria Walanda Maramis, Dewi Sartika, Nyai Ahmad Dahlan, Rasuna Said, etc. The Congress intended to improve women's rights in education and marriage. Indonesia also celebrates the Kartini Day (Indonesian: Hari Kartini) on 21 April, in memory of activist Raden Ayu Kartini. This is a celebration of the emancipation of women. The observance was instituted at the 1938 Indonesian Women Congress. During President Suharto's New Order (1965-1998), government propaganda used Mother's Day and Kartini Day to inculcate into women the idea that they should be docile and stay at home. In Iran, Mother's Day is celebrated on 20 Jumada al-thani. This is the sixth month in the Islamic calendar (a lunar calendar) and every year the holiday falls on a different day of the Gregorian calendar. This is the birthday anniversary of Fatimah, Prophet Muhammad's only daughter according to Shia Islam orthodoxy. Mother's Day was originally observed on 16 December but the date was changed after the Iranian Revolution in 1979. The celebration is both Women's Day (replacing International Women's Day) and Mother's Day. In 1960, the Institute for Women Protection adopted the Western holiday and established it on 25 Azar (16 December) of the Iranian official calendar, the date the Institute was founded. The Institute's action had the support of Queen Farah Pahlavi, the wife of the last Shah of Persia, who promoted the construction of maternity clinics in remote parts of the country to commemorate the day. The government used the holiday to promote its maternalist view of women. The Shah's government honored and gave awards to women who represented the idealized view of the regime, including mothers who had many healthy children. The Islamic Republic government is accused of using the holiday as a tool to undercut feminist movements and to promote role models for the traditional concept of family. Fatimah is seen by these critics as the chosen model of a woman completely dedicated to certain traditionally sanctioned feminine roles. However, supporters of the choice contend that there is much more to her life story than simply such "traditional" roles. The Jewish population celebrates Mother's Day on Shevat 30 of the Jewish calendar, which falls between 30 January and 1 March. The celebration was set as the same date that Henrietta Szold died. Henrietta had no biological children, but her organization Youth Aliyah rescued many Jewish children from Nazi Germany and provided for them. She also championed children's rights. Szold is considered the "mother" of all those children, and that is why her annual remembrance day (יום השנה) was set as Mother's Day (יוֹם הָאֵם, yom ha'em). The holiday has evolved over time, becoming a celebration of mutual love inside the family, called Family Day (יוֹם הַמִשְּפָּחָה, yom hamishpacha). Mother's Day is mainly celebrated by children at kindergartens. There are no longer mutual gifts among members of the family, and there is no longer any commercialization of the celebration. It is not an official holiday either. In Ireland, Mother's Day is celebrated on Mothering Sunday, the fourth Sunday in Lent. Mother's Day in Italy was celebrated for the first time on 12 May 1957, in the city of Assisi, thanks to the initiative of Rev. Otello Migliosi, parish priest of the Tordibetto church. This celebration was so successful that the following year Mother's Day was adopted throughout Italy. In 18 December 1958 a proposal was presented to the Italian Senate to make official the holiday. It is celebrated on the second Sunday in May. In Japan, Mother's Day (母の日 Haha no Hi?) was initially commemorated during the Shōwa period as the birthday of Empress Kōjun (mother of Emperor Akihito) on 6 March. This was established in 1931 when the Imperial Women's Union was organized. In 1937, the first meeting of "Praise Mothers" was held on 8 May, and in 1949 Japanese society adopted the second Sunday of May as the official date for Mother's Day in Japan. Currently Mother's Day in Japan is a rather commercial holiday, and people typically give their mothers gifts of flowers such as red carnations and roses. In Kyrgyzstan, Mother's Day is celebrated on 19 May every year. The holiday was first celebrated in 2012. Mothers are also honored on International Women's Day. Mother's Day in Latvia was celebrated for the first time in 1922. Since 1934, Mother's Day is celebrated on the second Sunday of May. After the end of the soviet occupation of Baltic states celebration was resumed in 1992. Mothers are also honored on International Women's Day. The first mention of Mother's Day in Malta occurred during the Radio Children's Programmes run by Frans H. Said in May 1961. Within a few years, Mother's Day became one of the most popular dates in the Maltese calendar. In Malta, this day is commemorated on the second Sunday in May. Mothers are invariably given gifts and invited for lunch, usually at a good quality restaurant. In Mexico, the government of Álvaro Obregón imported the Mother's Day holiday from the US in 1922, and the newspaper Excélsior held a massive promotional campaign for the holiday that year. The conservative government tried to use the holiday to promote a more conservative role for mothers in families, but that perspective was criticized by the socialists as promoting an unrealistic image of a woman who was not good for much more than breeding. In the mid-1930s the leftist government of Lázaro Cárdenas promoted the holiday as a "patriotic festival". The Cárdenas government tried to use the holiday as a vehicle for various efforts: to stress the importance of families as the basis for national development; to benefit from the loyalty that Mexicans felt towards their mothers; to introduce new morals to Mexican women; and to reduce the influence that the church and the Catholic right exerted over women. The government sponsored the holiday in the schools. However, ignoring the strict guidelines from the government, theatre plays were filled with religious icons and themes. Consequently, the "national celebrations" became "religious fiestas" despite the efforts of the government. There is a consensus among scholars that the Mexican government abandoned its revolutionary initiatives during the 1940s, including its efforts to influence Mother's Day. Today the "Día de las Madres" is an unofficial holiday in Mexico held each year on 10 May, because it's the date when it was first celebrated in Mexico. In Mexico, to show affection and appreciation to the mother, it is traditional to start the celebration with the famous song "Las Mañanitas", either a cappella, with the help of a mariachi or a contracted trio. Many families usually gather to celebrate this special day trying to spend as much time as possible with mothers in order to honor them on their day. They are organized to bring some dishes and eat all together or maybe to visit any restaurant. Also, mothers receive flowers, gifts, and multiple stores offer their goods discounted in order to stimulate purchases. In the Netherlands, Mother's Day was introduced as early as 1910 by the Dutch branch of the Salvation Army. The Royal Dutch Society for Horticulture and Botany, a group protecting the interest of Dutch florists, worked to promote the holiday; they hoped to emulate the commercial success achieved by American florists. They were imitating the campaign already underway by florists in Germany and Austria, but they were aware that the traditions had originated in the US. Florists launched a major promotional effort in 1925. This included the publication of a book of articles written by famous intellectuals, radio broadcasts, newspapers ads, and the collaboration of priests and teachers who wanted to promote the celebration for their own reasons. In 1931 the second Sunday of May was adopted as the official celebration date. In the mid-1930s the slogan Moederdag - Bloemendag (Mother's Day - Flower's Day) was coined, and the phrase was popular for many years. In the 1930s and 1940's "Mother's Day cakes" were given as gifts in hospitals and to the Dutch Queen, who is known as the "mother of the country". Other trade groups tried to cash in on the holiday and to give new meaning to the holiday in order to promote their own wares as gifts. Roman Catholic priests complained that the holiday interfered with the honoring of the Virgin Mary, the divine mother, which took place during the whole month of May. In 1926 Mother's Day was celebrated on 7 July in order to address these complaints. Catholic organizations and priests tried to Christianize the holiday, but those attempts were rendered futile around the 1960s when the church lost influence and the holiday was completely secularized. In later years the initial resistance disappeared, and even leftist newspapers stopped their criticism and endorsed Mother's Day. In the 1980s, the American origin of the holiday was still not widely known, so feminist groups who opposed the perpetuation of gender roles sometimes claimed that Mother's Day was invented by Nazis and celebrated on the birthday of Klara Hitler, Hitler's mother. In Nepal, there is a festival equivalent to Mother's Day, called Mata Tirtha Aunsi ("Mother Pilgrimage New Moon"), or Mata Tirtha Puja ("Mother Pilgrimage Worship"). It is celebrated according to the lunar calendar. It falls on the last day of the dark fortnight in the month of Baishakh which falls in April–May (in 2013, it occurred on 9 May). The dark fortnight lasts for 15 days from the full moon to the new moon. This festival is observed to commemorate and honor mothers, and it is celebrated by giving gifts to mothers and remembering mothers who are no more. To honor mothers who have died, it is the tradition to go on a pilgrimage to the Mata Tirtha ponds, located 6 km to the southwest of downtown Kathmandu. The nearby Mata Tirtha village is named after these ponds. Previously, the tradition was observed primarily by the Newar community and other people living in the Kathmandu Valley. Now this festival is widely celebrated across the country. Many tragic folklore legends have been created, suggesting different reasons why this pond became a pilgrimage site. The most popular version says that, in ancient times, the mother of a shepherd died, and he made offerings to a nearby pond. There he saw the face of his mother in the water, with her hand taking the offerings. Since then, many people visited the pond, hoping to see their deceased mother's face. Pilgrims believe that they will bring peace to their mother's souls by visiting the sacred place. There are two ponds. The larger one is for ritual bathing. The smaller one is used to "look upon mother's face", and it's fenced by iron bars to prevent people from bathing on it. Traditionally, in the Katmandu valley the South-Western corner is reserved for women and women-related rituals, and the North-Eastern is for men and men-related rituals. The worship place for Mata Tirtha Aunsi is located in Mata Tirtha in the South-Western half of the valley, while the worship place for Gokarna Aunsi, the equivalent celebration for deceased fathers, is located in Gokarna, Nepal, in the North-Eastern half. This division is reflected in many aspects of the life in Katmandu valley. Mother's Day is known as Aama ko Mukh Herne Din in Nepali, which literally means "day to see mother's face". In Nepal Bhasa, the festival is known as Mām yā Khwā Swayegu, which can be translated as "to look upon mother's face". In New Zealand, Mother's Day is celebrated on the second Sunday in May. Mother's Day is not a public holiday. The New Zealand tradition is to give cards and gifts and to serve mothers breakfast in bed. In Nicaragua, the Día de la Madre has been celebrated on 30 May since the early 1940s. The date was chosen by President Anastasio Somoza García because it was the birthday of Casimira Sacasa, his wife's mother. In Maldives, Mother's Day is celebrated on 13 May. The day is celebrated in different ways. Children give gifts and spend time with their mothers. Daughters give their mothers cards and handmade gifts and son's give their mothers gifts and flowers. Maldivians love to celebrate Mother's day, and they have it specially written on their calendar. In Pakistan, Mother's Day is celebrated on the second Sunday of May. Media channels celebrate with special shows. Individuals honor their mothers by giving gifts and commemorative articles. Individuals who have lost their mothers pray and pay their respects to their loved ones lost. Schools hold special programs in order to acknowledge the efforts of their mothers. In Panama, Mother's Day is celebrated on 8 December, the same day as the Feast of the Immaculate Conception. This date was suggested in 1930 by the wife of Panama's President Florencio Harmodio Arosemena. 8 December was adopted as Mother's Day under Law 69, which was passed the same year. According to another account, in 1924 the Rotary Club of Panama asked that Mother's Day be celebrated on 11 May. However, politician Aníbal D. Ríos changed the proposal, so that the celebration would be held on 8 December. He then established Mother's Day as a national holiday on that date. In Paraguay, Mother's Day is celebrated on 15 May, the same day as the Dia de la Patria, which celebrates the independence of Paraguay. This date was chosen to honor the role played by Juana María de Lara in the events of 14 May 1811 that led to Paraguay's independence. In 2008, the Paraguayan Minister of Culture, Bruno Barrios, lamented this coincidence because, in Paraguay, Mother's Day is much more popular than independence day and the independence celebration goes unnoticed. As a result, Barrios asked that the celebration be moved to the end of the month. A group of young people attempted to gather 20,000 signatures to ask the Parliament to move Mother's Day. In 2008 the Comisión de festejos (Celebration Committee) of the city of Asunción asked that Mother's Day be moved to the second Sunday of May. Mother's Day in the Philippines is celebrated every second Sunday of May. A Filipina mother is called the "light of the household" around which all activities revolve, and in accordance with Filipino culture, is the object of filial piety. Common practises include treating mothers and mother-figures to meals out, strolling in a park or shopping at malls, or giving mothers time to pamper themselves. Most families celebrate at home, with children doing household chores that the mother routinely handles such as preparing food, or giving mothers small handcrafted tokens such as cards. Although not a traditional Filipino holiday, Mother's Day and the similar Father's Day owe their popularity to American influence. In Poland, "Dzień Matki" ("Mother's Day") is celebrated on 26 May. In Portugal, the "Dia da Mãe" ("Mother's Day", literally) is an unofficial holiday held each year on the first Sunday of May (sometimes coinciding with Labour Day). In Romania, since 2010, Mother's Day is celebrated on the first Sunday of May. Law 319/2009 made both Mother's Day and Father's Day official holidays in Romania. The measure was passed thanks to campaign efforts from the Alliance Fighting Discrimination Against Fathers (TATA). Previously, Mother's Day was celebrated on 8 March, as part of International Women's Day (a tradition from the days when Romania was part of the communist block). Now Mother's Day and Women's Day are two separate holidays, with Women's Day keeping its original date of 8 March. In Russia, the Mother's Day holiday was established in 1998 by law initiated by "Committee on Women, Family and Youth" of the State Duma. The initiative belongs to Alevtina Viktorovna Aparina, State Duma deputy and a member of the Central Committee of the Communist Party. Since 1998, Mother's Day is celebrated on the last Sunday of November. Traditionally Russia had celebrated International Women's Day and Mother's Day on 8 March, an inheritance from the Soviet Union, and a public holiday. Women's Day was first celebrated in 1913 and in 1914 was proclaimed as the "day of struggle" for working women. In 1917, demonstrations marking International Women's Day in Saint Petersburg on the last Sunday in February (which fell on 8 March on the Gregorian calendar) initiated the February Revolution. Following the October Revolution later that year, the Bolshevik Alexandra Kollontai persuaded Vladimir Lenin to make it an official holiday in the Soviet Union, and it was established, but was a working day until 1965. On 8 May 1965, by the decree of the Presidium of the Supreme Soviet, International Women's Day was declared a non-working day in the Soviet Union "in commemoration of the outstanding merits of Soviet women in communistic construction, in the defense of their Fatherland during the Great Patriotic War, in their heroism and selflessness at the front and in the rear, and also marking the great contribution of women to strengthening friendship between peoples, and the struggle for peace. But still, women's day must be celebrated as are other holidays." In Samoa, Mother's Day is celebrated on the second Sunday in May, and as a recognised national holiday on the Monday following. In Singapore, Mother's Day is celebrated on the second Sunday of May. The day is celebrated by individuals but not recognized as a holiday by the government. However, many companies offer special products and services for the day. Czechoslovakia celebrated only Women's Day until the Velvet Revolution in 1989. After the country split in 1993, Slovakia started celebrating both Women's Day and Mother's Day. The politicization of Women's Day has affected the official status of Mother's Day. Center-right parties want Mother's Day to replace Women's Day, and social-democrats want to make Women's Day an official holiday. Currently, both days are festive, but they are not "state holidays". In the Slovak Republic, Mother's Day is celebrated every second Sunday in May. In Spain, Mother's Day or Día de la Madre is celebrated on the first Sunday of May. The weeks leading up to this Sunday, school children spend a few hours a day to prepare a gift for their mothers, aided by their school teachers. In general, mothers receive gifts by their family members & this day is meant to be celebrated with the whole family. It is also said to be celebrated in May, as May is the month dedicated to the Virgin Mary (mother of Jesus) according to Catholicism. In Sri Lanka, Mother's Day is celebrated every year on the second Sunday of May. Although relatively new to Sri Lanka, this occasion is now becoming more popular, and more people now honor their mothers on this day. Mother's Day is celebrated by individuals but is not yet recognized as a holiday on the government calendar. However, the day has a commercial importance with many companies that offer special products and services for the day. In Sweden, Mother's Day was first celebrated in 1919, by initiative of the author Cecilia Bååth-Holmberg. It took several decades for the day to be widely recognized. Swedes born in the early nineteen hundreds typically did not celebrate the day because of the common belief that the holiday was invented strictly for commercial purposes. This was in contrast to Father's Day, which has been widely celebrated in Sweden since the late 1970s. Mother's Day in Sweden is celebrated on the last Sunday in May. A later date was chosen to allow everyone to go outside and pick flowers. 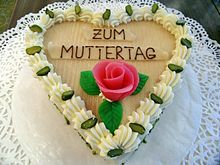 In Switzerland, the "règle de Pentecôte" law allows Mother's Day to be celebrated a week late if the holiday falls on the same day as Pentecost. However, in 2008, merchants declined to move the date. In Taiwan, Mother's Day is celebrated on the second Sunday of the month of May, coinciding with Buddha's birthday and the traditional ceremony of "washing the Buddha". In 1999 the Taiwanese government established the second Sunday of May as Buddha's birthday, so they would be celebrated in the same day. Since 2006, the Tzu Chi, the largest charity organization in Taiwan, celebrates the Tzu Chi Day, Mother's Day and Buddha's birthday all together, as part of a unified celebration and religious observance. Mother's day in Thailand is celebrated on the birthday of the Queen of Thailand, Queen Sirikit (12 August). The holiday was first celebrated around the 1980s as part of the campaign by the Prime Minister of Thailand Prem Tinsulanonda to promote Thailand's Royal family. Father's Day is celebrated on the King's birthday. Trinidad and Tobago celebrates Mother's Day on the second Sunday of May. Tunisia celebrates Mother's Day ("عيد الام") on the last Sunday of May. Turkey celebrates Mother's Day ("Anneler günü", literally "Mother's Day") on the second Sunday of May. Ukraine celebrates Mother's Day (Ukrainian: День Матері) on the second Sunday of May. In Ukraine, Mother's Day officially became a holiday only in 1999 and is celebrated since 2000. Since then Ukrainian society struggles to transition the main holiday that recognizes woman from the International Women's Day (a holiday embraced in the USSR and that remained as a legacy in Ukraine after its collapse) to Mother's Day. The United Kingdom celebrates Mothering Sunday, which falls on the fourth Sunday of Lent (30 March in 2014). This holiday has its roots in the church and was originally unrelated to the American holiday. Most historians believe that Mothering Sunday evolved from the 16th-century Christian practice of visiting one's mother church annually on Laetare Sunday. As a result of this tradition, most mothers were reunited with their children on this day when young apprentices and young women in service were released by their masters for that weekend. As a result of the influence of the American Mother's Day, Mothering Sunday transformed into the tradition of showing appreciation to one's mother. Commercialization and secularization further eroded the concept, and most people now see the holiday only as a day to make a gift to their mothers. The holiday is still recognized in the original historical sense by many churches, with attention paid to Mary the mother of Jesus Christ and the concept of the Mother Church. The custom was still popular by the start of the 19th century, but with the Industrial Revolution, traditions changed and the Mothering Day customs declined. By 1935, Mothering Sunday was less celebrated in Europe. Constance Penswick-Smith worked unsuccessfully to revive the festival in the 1910s–1920s. However, US World War II soldiers brought the US Mother's Day celebration to the UK, and the holiday was merged with the Mothering Sunday traditions still celebrated in the Church of England. By the 1950s, the celebration became popular again in the whole of the UK, thanks to the efforts of UK merchants, who saw in the festival a great commercial opportunity. People from UK started celebrating Mother's Day on the fourth Sunday of Lent, the same day on which Mothering Sunday had been celebrated for centuries. Some Mothering Sunday traditions were revived, such as the tradition of eating cake on that day, although celebrants now eat simnel cake instead of the cakes that were traditionally prepared at that time. The traditions of the two holidays are now mixed together and celebrated on the same day, although many people are not aware that the festivities have quite separate origins. Mothering Sunday can fall at the earliest on 1 March (in years when Easter Day falls on 22 March) and at the latest on 4 April (when Easter Day falls on 25 April). For many people in the United Kingdom, Mother's Day is now the time of year to celebrate and buy gifts of chocolate or flowers for their mothers as a way to thank them for all they do throughout the year. The United States celebrates Mother's Day on the second Sunday in May. In 1872 Julia Ward Howe called for women to join in support of disarmament and asked for 2 June 1872, to be established as a "Mother's Day for Peace". Her 1870 "Appeal to womanhood throughout the world" is sometimes referred to as Mother's Day Proclamation. But Howe's day was not for honoring mothers but for organizing pacifist mothers against war. In the 1880s and 1890s there were several further attempts to establish an American "Mother's Day", but these did not succeed beyond the local level. The current holiday was created by Anna Jarvis in Grafton, West Virginia in 1908 as a day to honor one's mother. Jarvis wanted to accomplish her mother's dream of making a celebration for all mothers, although the idea did not take off until she enlisted the services of wealthy Philadelphia merchant John Wanamaker, who celebrated it on 8 May 1910 in Bethany Temple Presbyterian Church, Philadelphia, PA of which he was the founder. In a letter to the pastor, she said it was, "our first Mother's Day". Jarvis kept promoting the holiday until President Woodrow Wilson made the day an official national holiday in 1914. The holiday eventually became so highly commercialized that many, including its founder, Anna Jarvis, considered it a "Hallmark holiday," i.e. one with an overwhelming commercial purpose. Jarvis eventually ended up opposing the holiday she had helped to create. [67 ] This economic modernization was inspired by US models and was sponsored by the state. She died in 1948, regretting what had become of her holiday. In the United States, Mother's Day remains one of the biggest days for sales of flowers, greeting cards, and the like; Mother's Day is also the biggest holiday for long-distance telephone calls. Moreover, churchgoing is also popular on Mother's Day, yielding the highest church attendance after Christmas Eve and Easter. Many worshipers celebrate the day with carnations, colored if the mother is living and white if she is dead. Nine years after the first official United States Mother's Day, commercialization of the holiday became so rampant that Anna Jarvis herself became a major opponent of what the holiday had become and spent all her inheritance and the rest of her life fighting what she saw as an abuse of the celebration. Later commercialization and other exploitations of Mother's Day infuriated Jarvis and she made her criticisms explicitly known the rest of her life. She criticized the practice of purchasing greeting cards, which she saw as a sign of being too lazy to write a personal letter. She was arrested in 1948 for disturbing the peace while protesting against the commercialization of Mother's Day, and she finally said that she regretted having started it. Mother's Day continues to be one of the most commercially successful U.S. occasions. It is possible that the holiday would have withered over time without the support and continuous promotion of the florist industries and other commercial industries. Other Protestant holidays from the same time, such as Children's Day and Temperance Sunday, do not have the same level of popularity. Mother's Day is also prominent in the Sunday comic strips in the newspapers of the United States, expressing emotions ranging from sentimental to wry to caustic. Since the Islamic Calendar uses the lunar year, which is shorter than the solar year, the day migrates through the seasons. Each year it falls a different day in the Gregorian Calendar, so it is listed separately. In 1908, Anna Jarvis holds a memorial service at a West Virginia church to honor her mother, Mrs. Ann Marie Reeves Jarvis, who passed away three years prior. Philadelphia newspaper publishers latch on to the idea and widely promote a day for honoring mothers, to be held on the second Sunday of the month of May. Read more about it! May 10, 1908: With the help of Philadelphia businessman, John Wanamaker, Miss Anna Jarvis invites friends to honor her mother Mrs. Ann Marie Reeves Jarvis, who died in 1905 at a ceremony in Andrew's Methodist Episcopal Church in Grafton, West Virginia. The holiday is also celebrated in Philadelphia the same year. The state of West Virginia quickly passes a law designating the holiday and other states follow suit. May 8, 1914: U.S. Congress passes a law that states the second Sunday in May is to be celebrated as Mother's Day. May 9, 1914: U.S. President Woodrow Wilson issues a proclamation declaring the first national Mother's Day as a day for American citizens to show the flag in honor of those mothers whose sons had died in war. [Try the following terms in combination, proximity, or as phrases using Search Pages in Chronicling America.] Miss Anna (or Annie) Jarvis, Mothers' Day. It is important to use a specific date range if looking for articles for a particular event in order to narrow your results.
" Day of Our Mothers," Florida star (Titusville, FL), April 30, 1909, Page 2, Image 2, col. 1.
" Whole Nation Pays Mothers a Tribute," Washington times (Washington, DC), May 9, 1909, Sunday Evening Edition, Page 8, Image 8, col. 3.
" Boys and Girls to Pay Tribute," The Call (San Francisco, CA), May 11, 1912, Junior Section, Image 1, col.3.
" Wear a Flower," Bemidji daily pioneer (Bemidji, MN), May 11, 1912, Page 2, Image 2, col.1.
" Because of the Increasing Volume of Work, Miss Anna T. Jarvis Has Founded an International Assocation to Carry on the Work She Begun," Times dispatch (Richmond, VA), May 12, 1912, Page 10, Image 14, col. 1-5.
" Founded a Holiday," Washington times (Washington, DC), May 7, 1914, Page 7, Image 7, col. 4.
" Wilson Proclaims Mother's Day," Washington herald (Washington, DC), May 10, 1914, Page 3, Image 3, col. 1-3.
" The Significance of Mother's Day," Ogden Standard (Ogden City, UT), May 16, 1916, City Edition, Image 9, col. 1-5.
" Founder of Mother's Day Thanks Ad Men for Co-Operation," Evening public ledger (Philadelphia, PA), June 29, 1916, Night Extra, Page 10, Image 10, col. 2-3.
" Mother's Day," St. John's Herald (Apache, AZ), May 18, 1922, Image 7, col. 1-3.